From Kenji Kamiyama, the visionary director behind Ghost in the Shell: Stand Alone Complex, comes an intense, visually captivating sci-fi thriller. Many years ago, nine humans were captured and transformed into cyborgs for the purposes of becoming agents of evil. Instead, they rebelled, becoming champions of justice anytime the earth was in need. Now, in a post-9/11 world, the meaning of "justice" has become clouded. The cyborgs, untouched by time, and some without memory of their status as heroes, have since taken up lives as ordinary civilians. 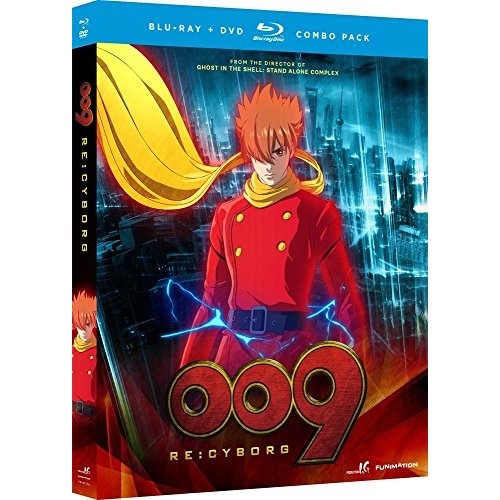 But when a mysterious force known only as "His Voice" compels people across the world to commit unspeakable acts of violence, even cyborg 009, Joe Shimamura, falls victim to the irresistible faceless power. In an era when cyber-terrorism is rapidly advancing, how can the cyborgs combat an enemy that has no face, no weapons, and seemingly no motive?